Welcome to this collection of super unique free printable holiday gift tags! These are tags I’ve made and personally used over the years. I hope you enjoy! 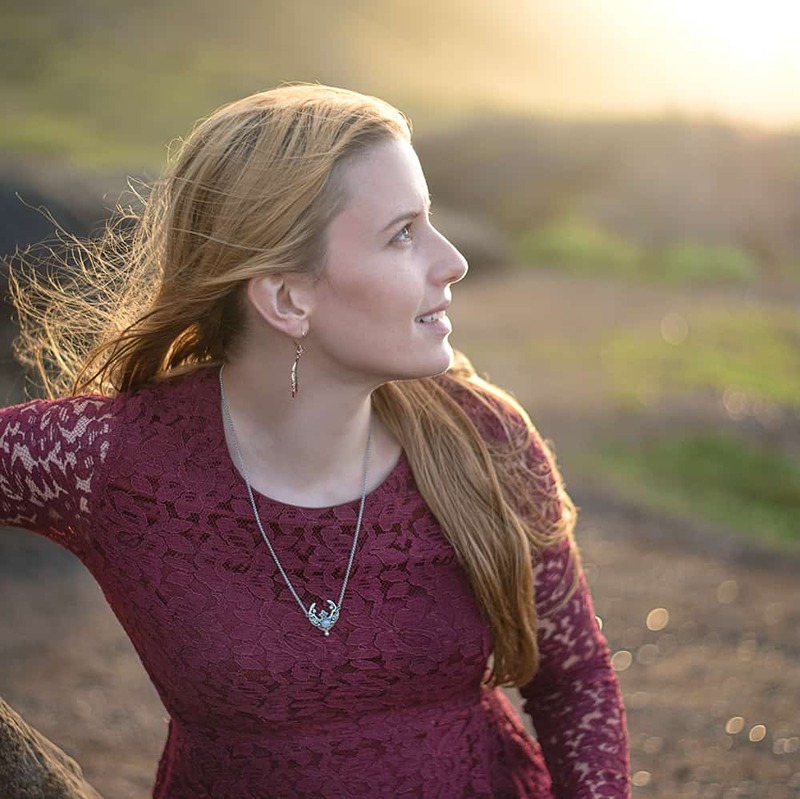 I’ll be adding more to the collection soon, so make sure to Pin this page and check back in! There are super cute animal gift tags, hand drawn Celtic knot gift tags, Mele Kalikimaka Hawaiian gift tags, and more! All the printable gift tags are round, which means they’re super easy to cut out with a 2.25″ or 2″ circle cutter. If you don’t have either, you can always use a pair of scissors! Make sure you print your gift tags on white cardstock for best results. Poke a second, smaller hole in top with a small hole punch or even a pair of scissors. 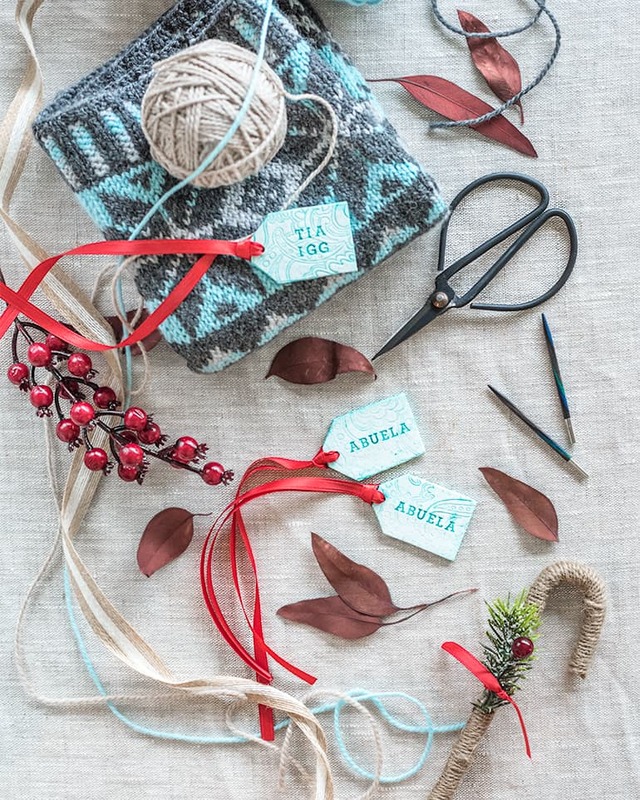 Add some baker’s twine and your tags are ready to hang! You can download the tags by clicking on the image or heading over to grab them on Google Drive here. This file has the tags in both 2.25″ and 2″ diameters. The circles are actually slightly larger to make the designs easier to punch with a circle cutter. These colorful Celtic snowflakes are digitized from a hand drawn Celtic knot! The file contains both 2″ and 2.25″ options. Download your printable Celtic knot gift tags right here! I love these adorable animals in their holiday sweaters! Download these holiday animal gift tags here. The file has three of each of the cat, penguin, and fox and the designs can be cut at 2.25″ or 2″. I have two unique Hawaiian Christmas gift tags for you! 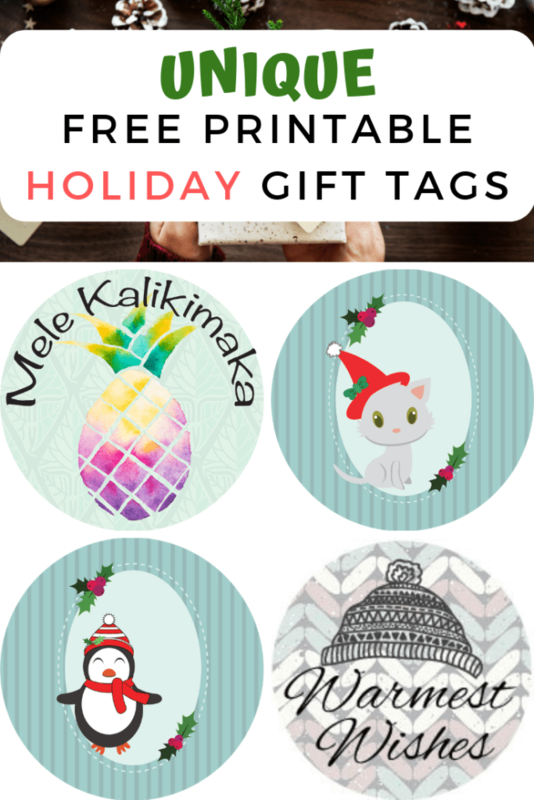 These hibiscus Melt Kalikimaka gift tags were a favorite with Etsy customers when I included them as a freebie! Alright, so these aren’t printable, but I also have to share these super easy polymer clay gift tags! They look like ceramic, but they aren’t!